The chemicals also attract white blood cells that "eat" microorganisms and dead or damaged cells. The process where these white blood cells surround, engulf, and destroy foreign substances is called phagocytosis, and the cells are collectively referred to as phagocytes. 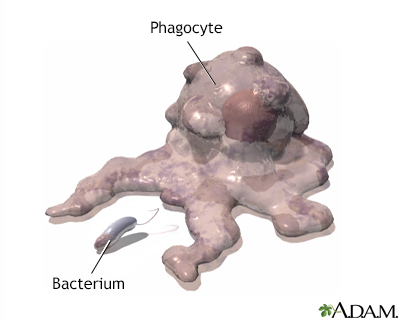 Phagocytes eventually die. Pus is formed from a collection of dead tissue, dead bacteria, and live and dead phagocytes.